We all know that with each new year, comes a whole cascade of new fashion and style trends to keep up with. It’s as simple as this, if you can’t keep up with the trend train, then you are going to find yourself stuck at an unflattering station. There is no doubting that one of the biggest and best fashion accessories when it comes to making a statement is the handbag. From handbag to tote bag to purse, bags can accent an outfit to perfection. That is, of course, if you are keeping up with what it is hot and what is not. To help you make it through the year with a good style report card, here are five of the need to know bag trends for 2019. No longer are belt bags an accessory that only middle-ageded mother on a vacation wears. In 2019, they are hitting the hips of fashionistas in a very real way. Any brand worth its salt is bringing out its own version of a classic belt bag, with different and interesting pouch shapes and colour schemes to look forward to. When it comes to timeless style, a black leather handbag is never going to go out of fashion. 2019 looks set to continue the strength of this classic, with a larger, corporate theme showing lots of popularity on the runway. It evokes a traditional Italian sense of sophistication and style, one that all others fashion cultures should be aiming to replicate. It makes sense to invest in a quality bag for work – it is one of the most timeless fashion accessories and Elizabetta is committed to providing great bags at uninflated prices. For a more casual large bag style, 2019 looks set to be a year where raffia fringed tote bags make a big comeback. Reimagined designs by some of the world’s leading fashion names are reclaiming the raffia tote and transforming it from a picnic, day at the park vibe to an essential, boho chic vibe. Though transparent tend to immediately conjure images of airport security, the fashion world is going to be full of it this year. From handbags to totes to clutches, transparent is very much the new black. The see-through look adds a very clean, minimalist, almost futuristic dynamic to an outfit, and you can expect to see more transparent bags not just in the high fashion circles but also in the area of business. 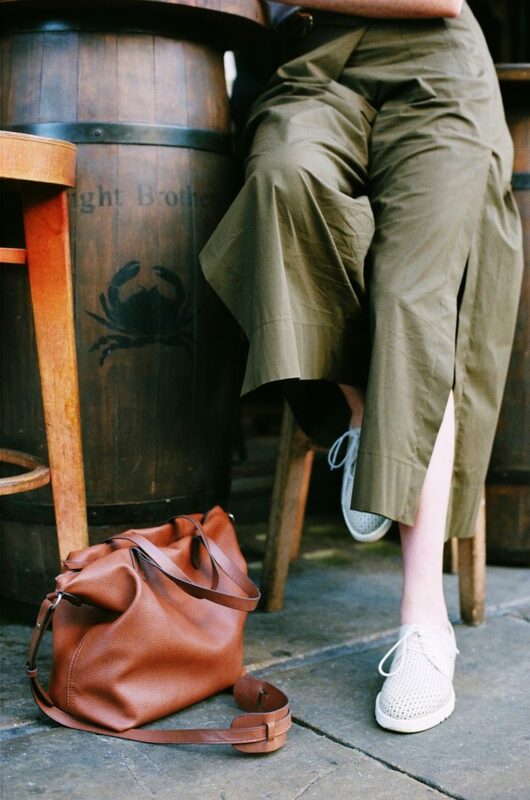 What one might like to call the ‘hobo’ look, we prefer to call the unstructured look, and unstructured throw over the shoulder type bags are going to see a lot of popularity in 2019. The idea is that such bags can provide a sharp and interesting contrast when paired with a more refined, tailored outfit, although they can just as well accent a more bohemian, casual style as well. Throw over the shoulder bags are much more versatile than one might think on first glance.